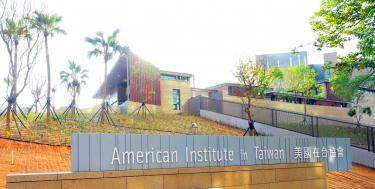 The new American Institute in Taiwan compound is pictured in Taipei’s Neihu District on June 12 last year. Sixteen US senators on Monday wrote a joint letter urging US President Donald Trump to send a Cabinet official to Taipei next month to attend a major event to be held by the American Institute in Taiwan (AIT). 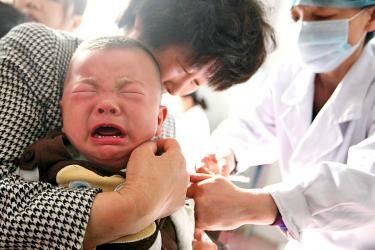 A child receives a vaccination shot at a hospital in Huaibei in China’s Anhui Province on July 26 last year. Taiwan did not participate in a WHO-organized vaccines conference in Beijing on Feb. 21 to protest the global body’s denigration of the country, Minister of Foreign Affairs Joseph Wu (吳釗燮) said yesterday. 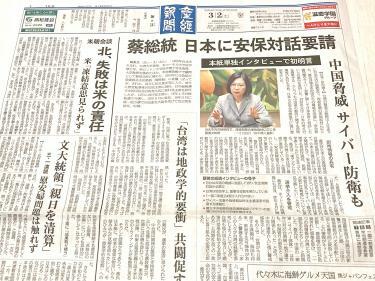 A photograph of President Tsai Ing-wen is pictured in yesterday’s edition of the Sankei Shimbun, which contained an interview with Tsai. President Tsai Ing-wen (蔡英文) has for the first time expressed intent to conduct direct dialogue with the Japanese government on cybersecurity and regional security issues. 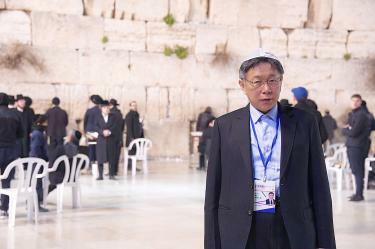 Taipei Mayor Ko Wen-je is pictured at the Western Wall in Jerusalem’s Old City on Monday. Taipei Mayor Ko Wen-je (柯文哲) has found himself at the center of another controversy after saying that the murder of 6 million Jews by Nazi Germany was the “greatest publicity” for Jews internationally. Over the past few years, China has been pushing for exchanges between the education sectors on the two sides of the Taiwan Strait. Many Taiwanese school principals are eager to be given the Chinese government’s luxury treatment and are falling over each other to visit China, as if they were surrendering to Beijing. 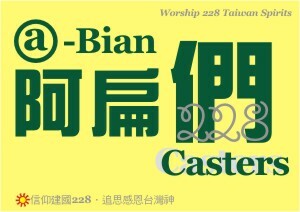 How different are Taiwan and China? 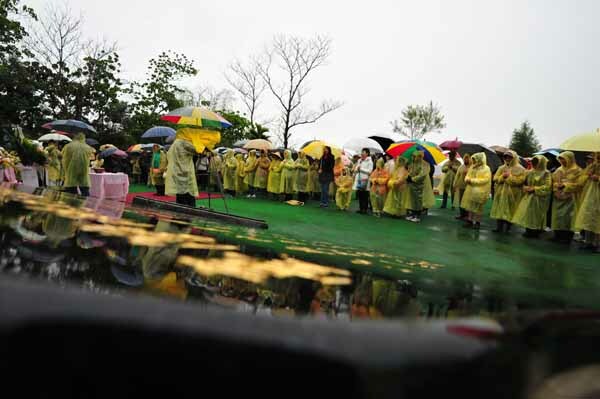 Two recent incidents involving the heads of state from both sides of the Taiwan Strait illustrate the striking contrast between democratic Taiwan and authoritarian China. Devotion (還願), a horror video game developed by Taiwanese company Red Candle Games, was initially well-received by Chinese gamers following its debut on Tuesday last week. However, it has in recent days come under attack by Chinese gamers, who said it contained an image that mocks Chinese President Xi Jinping (習近平).